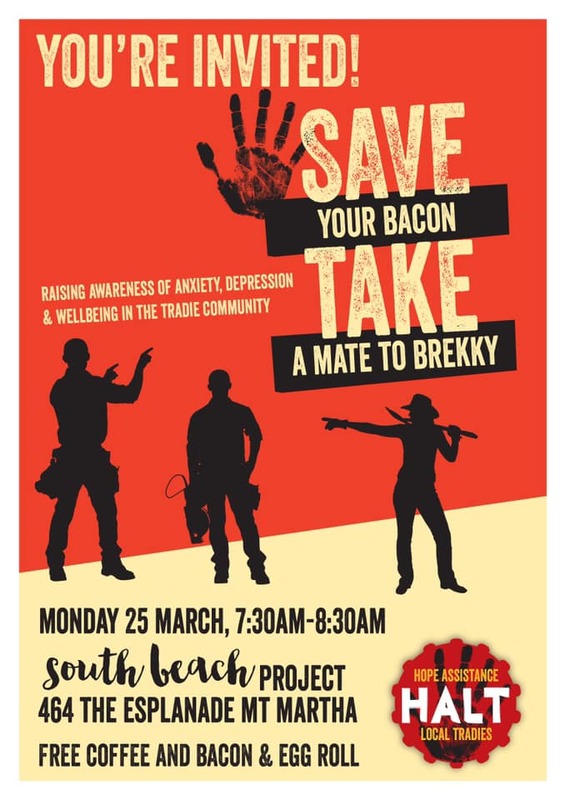 HALT is excited to officially announce that the Federal Health Minister, Greg Hunt, will be attending our ‘Save your Bacon’ event at the South Road Beach Project cafe in Mt Martha on Monday the 25th of March, from 7.30am to 8.30am. The awesome crew at South Beach Project will be cooking up the beautiful egg and bacon rolls and making the coffee, all you have to do is turn up, it’s free! Would love to see lots of Mornington Peninsula tradies there! Click here for the the Facebook event. We’ll be there, rain or shine – we will adapt accordingly!